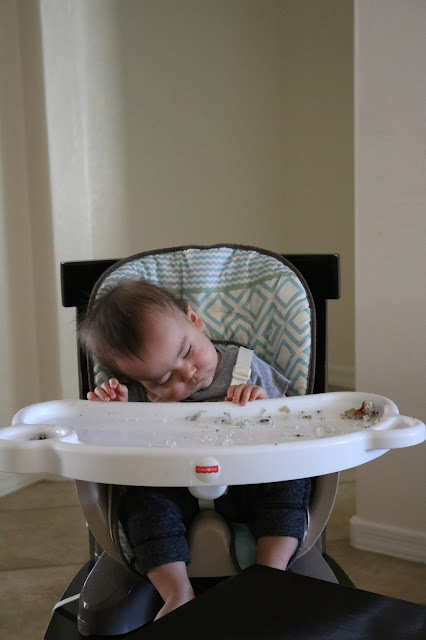 My good friend Satyra's mom Teresa had always told me that one of the highlights of having babies is when they fall asleep in their high chair. I waited and waited for this to happen with Danny... never did! (figures) But just a few weeks ago I got to witness this adorableness from Sammy! Love you Sammy bug! PS. Meanwhile, this kid is standing in his crib now! wha?? ?